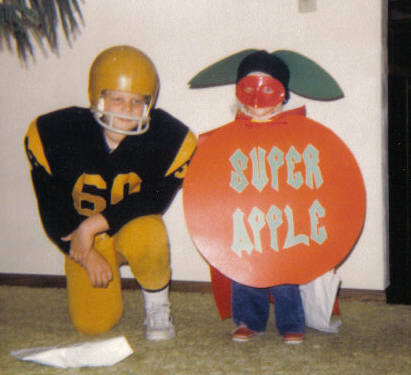 "THEY CALL ME APPLE LOVE..."
Paul Super Apple made a demo tape sometime in the '80s, and sent it to Keith Richards. 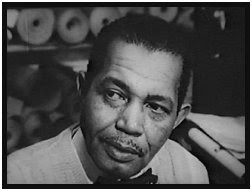 The tape was passed around, copied, and tho the aspiring singer/songwriter never did get a record deal (much less a chance to work with his hero Richards), he did become an underground legend. It wasn't just his music that made the tape such a sensation, tho Super Apple's singing augmented by seemingly-random echo effects accompanied by his enthusiastic electric guitar certainly has its charms. No, it's the between-song banter that really reveals the "interesting" personality of the artiste, such as when he compares his songwriting to folks like "Mister Master Paul McCartney," or, as he says in his thick East Coast accent, "Mistuh Mastuh Paul McCAWtney." A must-have. The collection of "mechanical music" I put together last month was a surprise hit, and it just so happens that some more music played not by human hands has come my way: an awesome German slide-guitar robot, a complex contraption that accompanies silent films, and a real curiosity: a late '50s album of rock 'n' roll player-piano arrangements. The Three Sirens are the aforementioned German guitar-bots; their site's free-dow nload page has some tasty tunes from their album "Robot Rock" - I especially like the balls-out (gears-out?) "Aglaopheme's Solo." 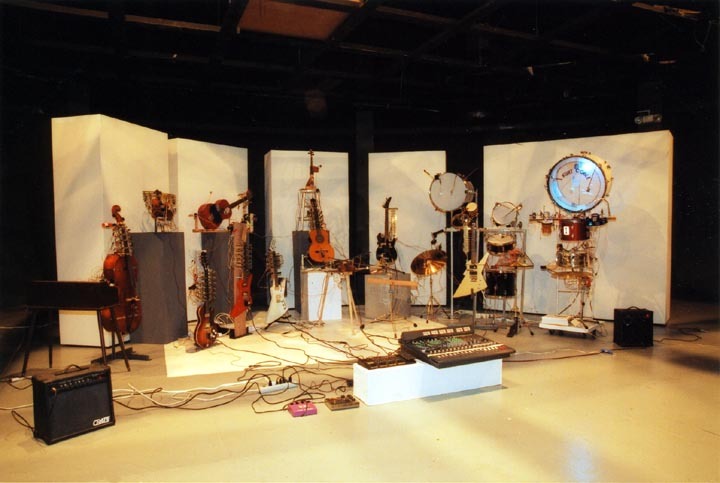 The P.A.M. (Partially Artificial Musicians) Band (pictured above) was created by Kurt Coble of the (get this) "Robotic Music Laboratory" of the University of Bridgeport, CT. No album, but as evidenced by the videos on his site, the live show must be amazing. His 'bots have recently been performing an original score to the classic Fritz Lang silent sci-fi film "Metropolis." 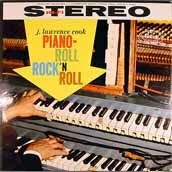 J. Lawrence Co ok was a veteran piano-roll puncher and pianist who made a bizarre album in the late '50s of his piano-roll versions of current rock and r'n'b hits. A live band accompanies the player-piano mechanically grinding out unlikely (sometimes near-unrecognizable) ragtime-ish versions of songs made famous by Elvis, Bill Haley & The Comets, The Everly Brothers, etc, as well as some Cook originals. Why?! I mean, why go to the bother of laboriously punching out a player piano roll if live musicians are performing - why not just sit down and play the piano live? 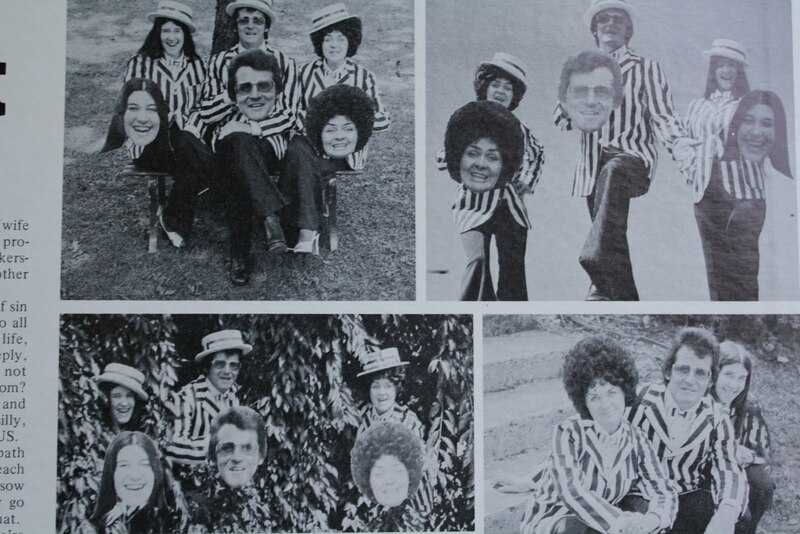 Definitely one of the weirdest artifacts of the original rock 'n 'roll era. 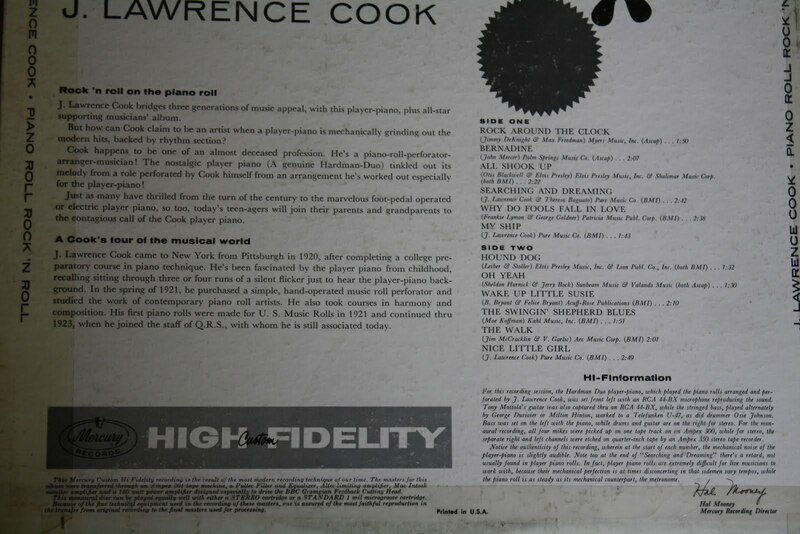 J. Lawrence Cook "Piano Roll Rock 'n' Roll"
Thanks to J-Unit 1 and windbag! ...Yes, Virginia, there are still independent artists out there selling albums, trying to raise a little scratch so that they can continue their good works. So go buy stuff! Like what what we used to do! The Everyday Film have another CD of serial-killer vocals and enigmatic electronics; 24 tracks in 12 minutes; still the most creepy cryptic thing out there, but this one seems strangely more accessible...or maybe I'm just getting used it. 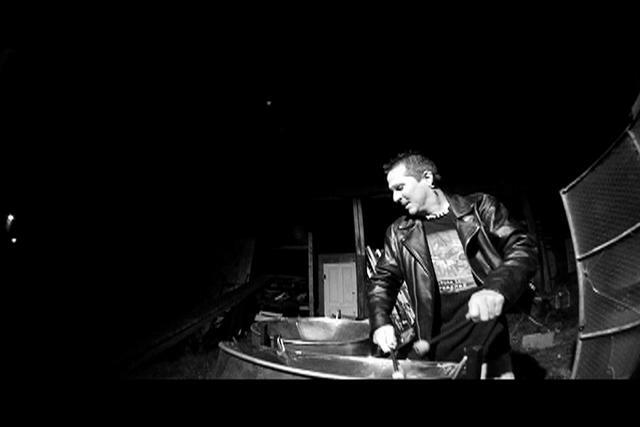 "The Cycle - excerpts"
Pan For Punks is an instrumental collection of Ramones classics performed punk/reggae/calypso style on Carribean steel drums. Could be a cheezy gimmick, but it's so well executed that it's a really good gimmick. Beach party/bbq album of the year. 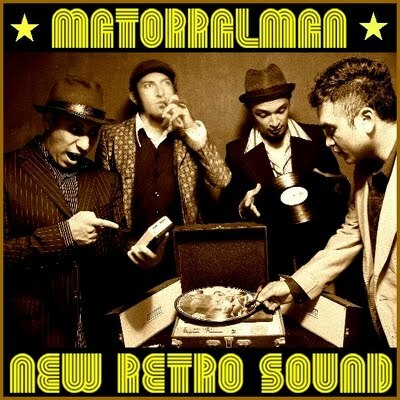 "Rockaway Beach"
Arrington de Dionyso blows mad horn improv over throbbing percussion - a voodoo ceremony on Hepcat's Island. 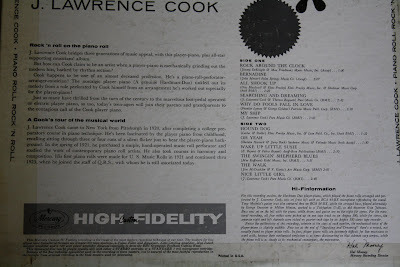 Recorded directly to vinyl. Only 100 tapes available. 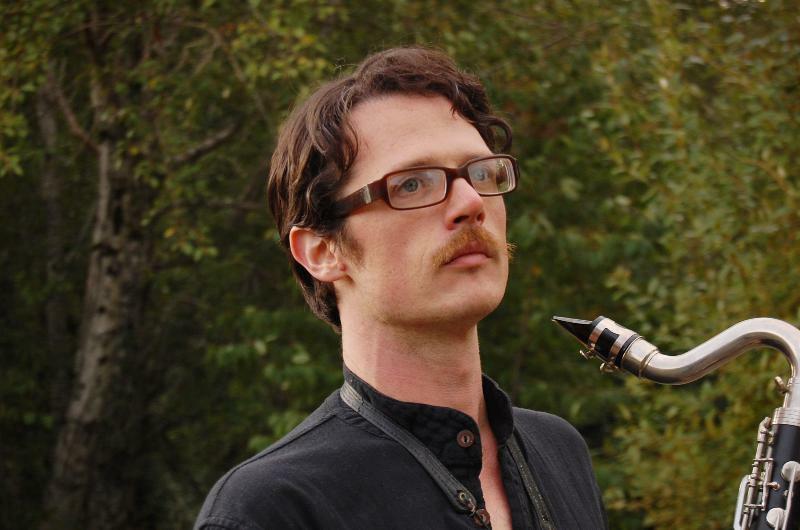 "Naga Suara track 3"
Thelema Trio are a sax, clarinet and piano trio named for Aleister Crowley whose latest album features the work of South American composers. I know, I know, another one? My fave track might be "Shadowing" for intertwined clarinets and saxes reminiscent of Steve Reich stuff like "Electric Counterpoint" but more loose; it's 8 minutes long tho, so here's a piece by Peruvian composer Raphael Leonardo Junchaya that suggest Philip Glass playing a Bulgarian wedding: "Sikkinus"
Sc.art is a trio with roots in the Budapest '80s New Wave scene (who knew?) but have moved far beyond - the songs on their album "The Well-Tempered Universe" are based on actual outer space sounds, such as the ones we've featured here. 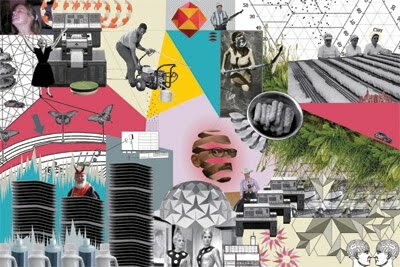 Quite a variety of styles result, from the expected Vangelis-ish space-rock and Eno-esque ambience, to near-funk/pop, to abstract percussion, electro-noise and spooky drones. Hmmm, maybe in space they can hear you scream. "Universes Wailing"
Crying Demons Crying Demons Crying Demons!! Allen sounds rather ineffectual. He commands the demons to leave, but they simply refuse. A lot of this album goes like: "Leave this woman!" "No." "Come out, I say!" "No, leave me alone." "I command you in the name of Jesus!" 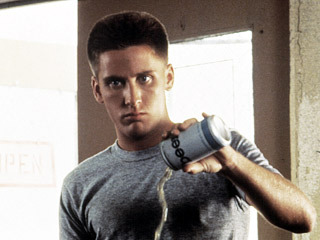 "Buzz off, mac." They don't do much crying til the end. I found another mp3 called "Crying Demons" somewhere on line that I've included here that is apparently from another record. A three-sided record?! Now that's demonic! 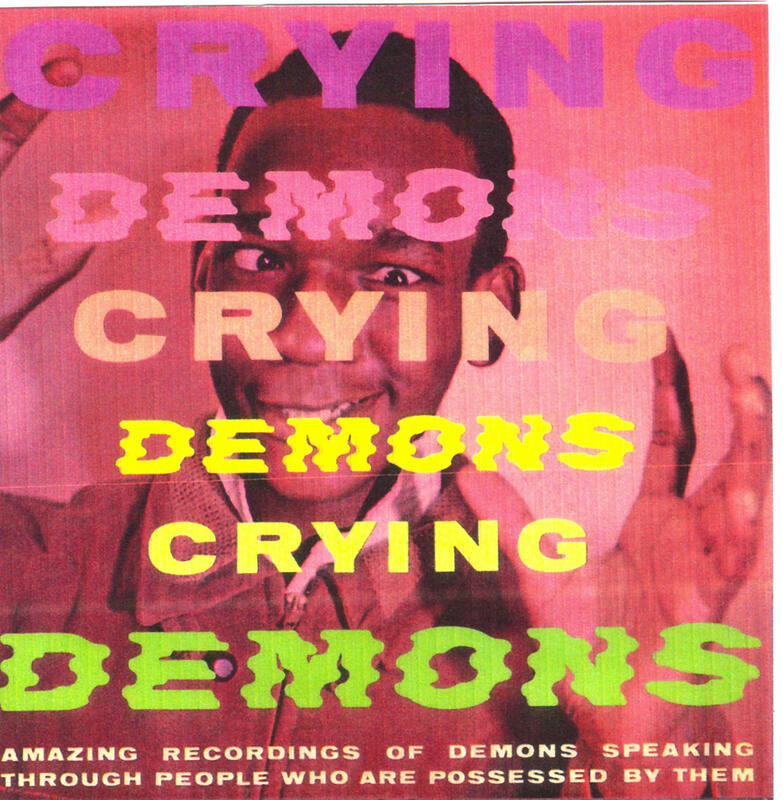 A.A. Allen: "Crying Demons Crying Demons Crying Demons"
I think the album might just called " Crying Demons," but I like writing it three times so it's like the album cover. Kids Party! Ice Cream! 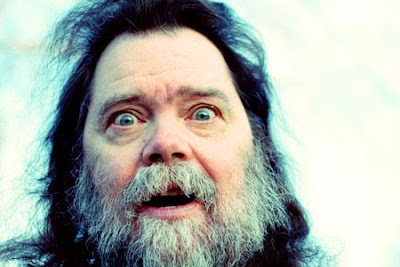 Roky Erickson! was a great show, really fun, and over in 30 minutes. I brought along a portable audio recorder. Q: How does the drummer play so fast? Does he get splinters? Q: Why was the zombie song so loud? free ChocoTaco. Baby Fab pretty much just slept. 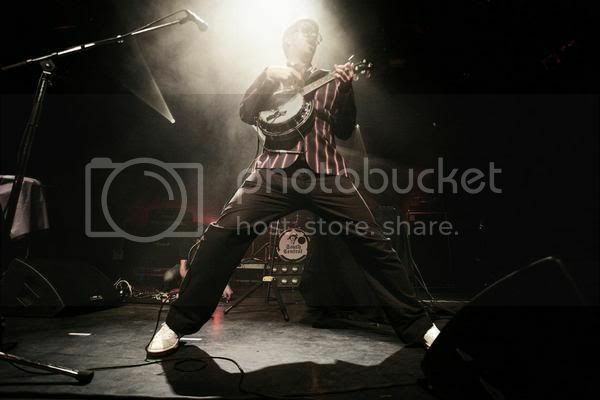 Mr. B The Gentleman Rhymer "I Say, You!" Back in '05, I wrote: "Robert Alberg's sad life is detailed here, chronicling his battle with mental illness and depression. So despondent was he that he began creating deadly poisons, pondering the possibility of killing all life on earth. He was recently sentenced to five years probation." I'm not one for lists, but this would be on my Top Ten Crucial Outsider Albums You Must Hear list, were I to make one. 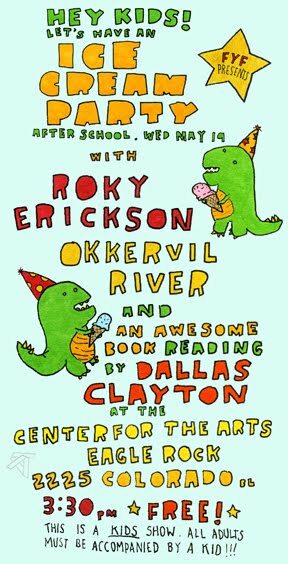 It makes Daniel Johnston sound like Rod Stewart. Accompanied by the most minimal acoustic guitar imaginable, Robert Alberg tunelessly "sings" variants of a phrase over and over in a warbly voice as he plunks one or two notes on his guitar. He's as obsessive/compulsive as Wesley Willis, with his use of repetition and half the songs being about sand and/or the ocean, but he doesn't have Willis' outrageous humor and high energy. It can be funny though, just because it's the most pathetic thing you've ever heard. I'm probably making this sound like it would be torture to listen to, but it's fascinating. This whole album sounds like cartoon chase music. Apart from it's early use in classical music, "the xylophone was frequently used by early jazz bands in the 1920s and 1930s. It was also a very popular instrument in vaudeville." 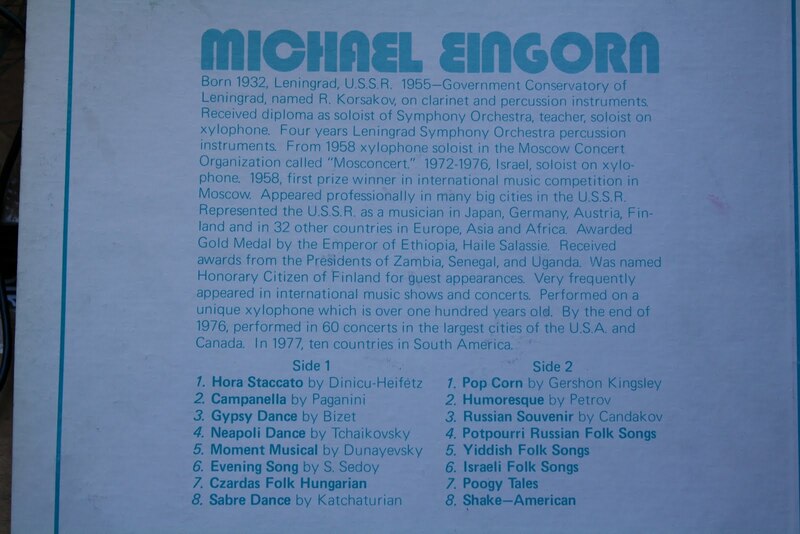 I admit I only bought this album because it contains a version of Gershon Kingsly's "Popcorn," and the title "Shake - American" looked intriguing (it's a version of Ray Charles' "What'd I Say") but I ended up liking the whole thing. The "classical" stuff is sometimes backed by a sleazy electric organ-led lounge combo, not a chamber music group. Everything's played at a frantic energy level as Eingorn pounds away with machine gun-like precision. and the German kitsch remix album. "One afternoon Ergo Phizmiz finds himself lumbered into delivering a parcel to the house of legendary alchemist and necromancer Dr Johann Faustus who, since the events of some time ago for which he is renowned, has entered into a rather quieter life in a vast, labyrinthine house, with hundreds of lodgers running the gamut from artists, birds, bird-people, walking fictions, ventriloquists, a Cassowary, running chairs, walking gramophones, and myriad automata. 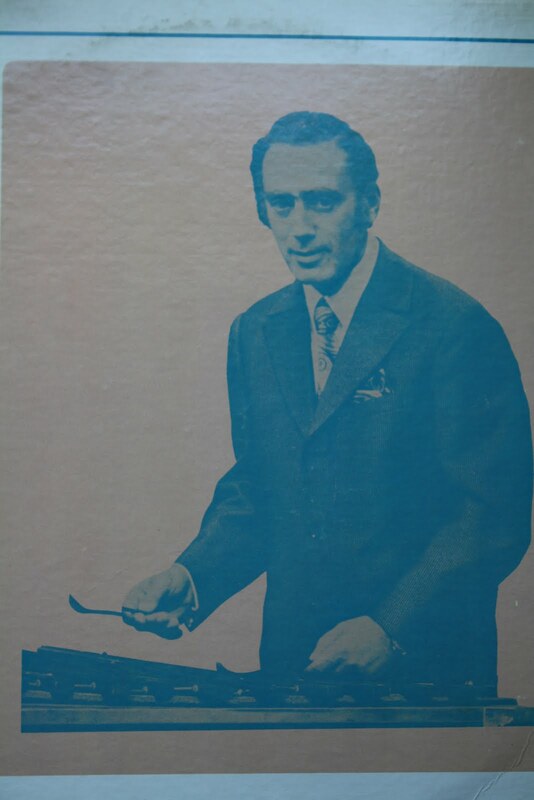 In glorious radiophonic technicolour, it is a musical-comedy of disorientation and magick, somewhere between nightmare and the half-remembered childhood whimsy of an insomniac music-hall artiste." Wow, I'm way late for Cinco de Mayo, but what the heck. Matorral Man are merry Mexican masters of mirth and music (I'd just like to break in here to apologize for the excessive use of alliteration in this sentence) that sample '60s kitsch for a upbeat blend of electronica, lounge, surf and go-go beat. Recommended to fans of Messer Chups, The SG Sound, Ursula 1000, and wrestling movies. Nothing too radical here, just a big blast o' fun. Song titles that translate to "Kamikaze Girls" and "The Taxi of Tomorrow" should give you the idea. Next time you're at a party and the Black Eyed Peas come on for the umpteenth time, slip this one in. Everyone will give you a big ol' muchas gracias. YOU GOTTA HAVE KNEE POWER! I'm not really posting this album because of it's musical virtues (namely, upbeat Xian county-pop that sounds like a '70s variety show soundtrack), but because it's from Nashville, whose music district, including the venerable Grand Ol' Opry, is underwater as I write this. And for the album cover artwork. I mean, really: what...the...hell?! That's Alvis (not Elvis!) pictured, with his wife and daughter. 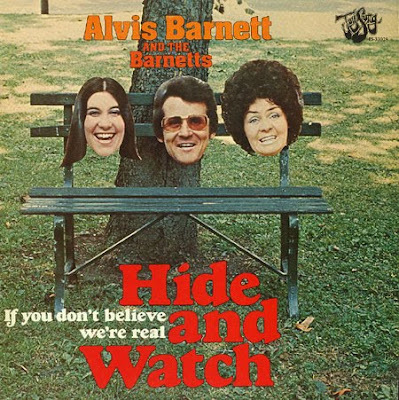 Gary S. Paxton's liner notes describe how Alvis would tell him: "What you need is JESUS. And I would reply, later man, pass the dope. At the time I could not figure out his bag. Where's this guy comin' from?" "God answers prayer night and day /and sometimes it's not what we want to hear/ but if we spent more time on knees bent low /the answer might be yes instead of no." Ah, so God DOES answer all our prayers - it's just that sometimes the answer is 'No'! Alvis Barnett & The Barnetts "Knee Power"
Labels: country, funk/r'n'b, religious, Space Age/Moog/Theremin etc. 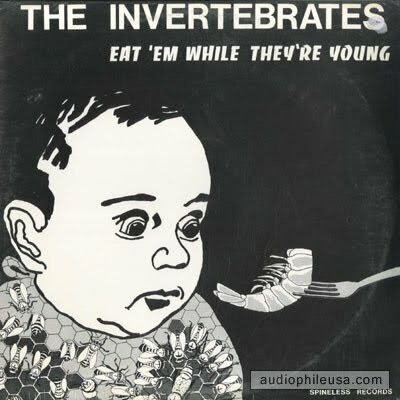 The Invertebrates "Eat 'em While They're Young"
The 6 songs on this EP are largely centered around compelling bass lines, sometimes dub throb, sometimes rock power, with all matter of sonic ephemera thrown on top: thrift-store record bits, horn skronk, electronic bleeps. The lyrics often seem to be sung verbatim from newspaper articles. "The initial shows of fall 1980 depended on numerous film, slide, and overhead projectors. Much of the music was improvised as background to the visuals, though a few loose songs were also a part of the act. 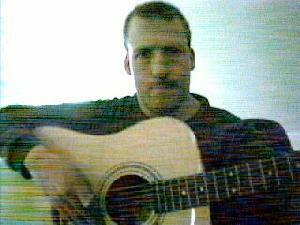 But then the songs began to tighten and grow in number. Pretty soon the musical side came to dominate. An EP, "Eat 'em While They're Young", was released in 1981, followed in 1984 by an LP, "Let's Have Fun" (we still have a few hundred in the garage, so let us know if you'd like one) [I do!]. For a few years in the early 80's we also managed Club Foot, an art/punk hole-in-the-wall out at Third and 22nd Streets. From the beginning we've undergone innumerable personnel changes while generally consisting of a core of from three to ten men and women at any given time, along with an ever-varying group of occasional players dropping by. As of 2006, almost three dozen people have been involved." Surprisingly, they're still around, still releasing new albums. Los Angeles funky jazz band Mojo Triage did a few shows as Moog Mania in 2006, performing solely on vintage Moog synths and Moog Ethervox theremins (plus drums). 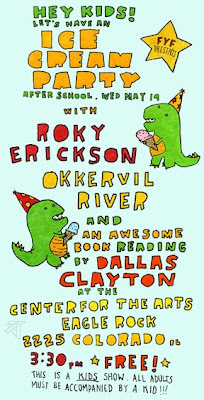 I caught their first show, then bought a CD-R of a live recording of that very show the next time I saw them. 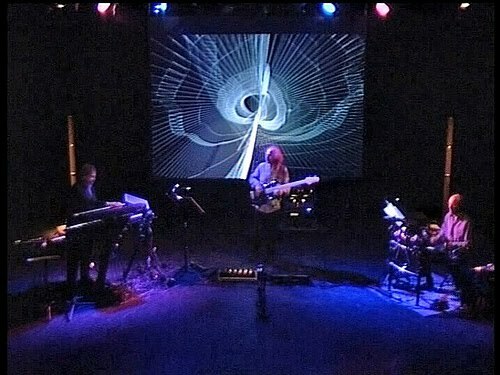 They also performed at a Bob Moog tribute that featured a screening of the documentary film "Moog." And, so far as I know, never performed again. This ain't no "Switched On"-type cheese fest (much as I love that kinda stuff). It's all original, all improvised. But it's not the amphetamine mayhem of Margaret Raven either - it's so funky/groovy it's hard to believe that it's all improv, like a '70s action soundtrack gone sci-fi. "Starsky and Hutch on Mars." Labels: jazz/improv, Space Age/Moog/Theremin etc.